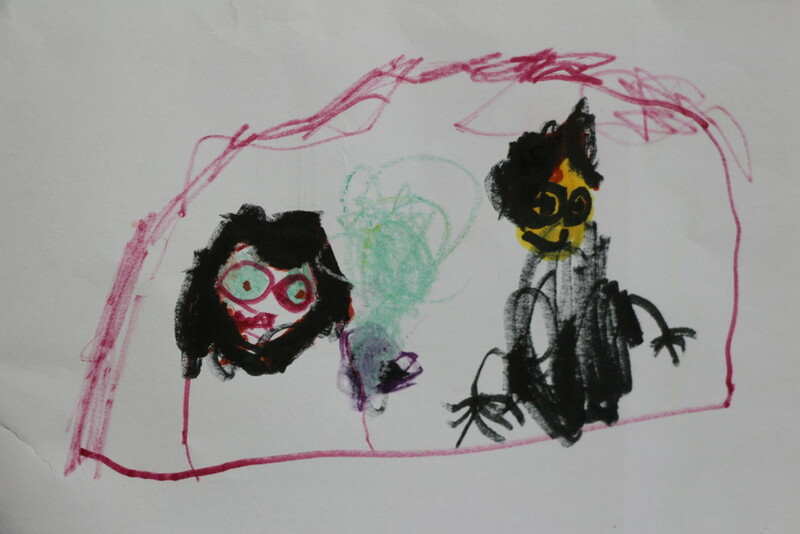 This is a picture I drew of Mommy and Daddy's wedding. Yesterday we watched the video of Mommy and Daddy getting married (before they were called Mommy and Daddy). Yesterday we celebrated their wedding anniversary. They didn't get married yesterday. They were married already. We just celebrated the day they got married. When you are married, you celebrate the day you get married every year. You call that your anniversary. Someday soon I'll get married and I'll wear a black suit like Daddy in the picture. There are no girls in our family, so I'll have to look hard other places to find a girl to marry. She can wear white. When we get married I'll give her flowers and a ring. And she'll give me a real ring, not my plastic ring that I have now. When I'm a grown up, I'll have to have a real ring.